Min Tanaka with Monica Emilie Herstad at the poster for The Dance of Life, in Tokyo, 1997. A performance as referred to in Tokyo Times by Giles Kennedy, as an excellent performance. The article was having headlines such as «A new star in the Zodiake is born». Norwegian butoh performance during The Winter Olympic Games Cultural Program in 1994, the performance The Dance of Life, also programmed at Tokyo International Festival of Performing Arts 1997, and ULTIMA Festival 1997. In 2017 Min Tanaka performs in Oslo again, during ULTIMA 09.09 at the site of the new National Gallery of Norway. It is a 20 year marker of a nearly 70 years continuing cultural dialogue between the two countries. Consept, direction, choreography, scenography, costumes: Min Tanaka. Winter Olympics Lillehammer Cultural Program 1994. Tokyo International Festival for Performing Arts 1997. Venues: Setagaya Theatre, Tokyo 1997/ Maihaugsalen, Lillehammer 1994/ Black Box Teater 1994, 1997. The Dance of Life takes inspiration from the Norwegian painter Edvard Munchs life and art. Produced by Black Box Teater, Oslo 1994, 1997. 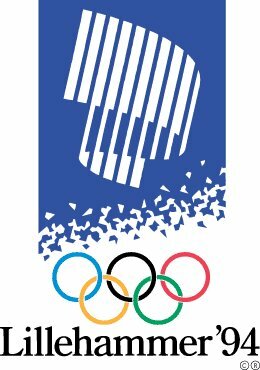 Co-producer 1994: Winter Olympics Lillehammer, Maihaugsalen. Tokyo International Festival of Performing Arts, Setagaya Theater Tokyo, Kazue Kobata Tokyo, Monica Emilie Herstad Oslo and Tokyo, Ultima Festival Oslo. In 1973, he began to create his own solo dance works and to explore the meaning of the body and dance, based on improvisation. He has collaborated with a wide range of artists including the late Tatsumi Hijikata, the founder of the Japanese dance form, Butoh. Together, they created the Foundation of Love-Dance School. 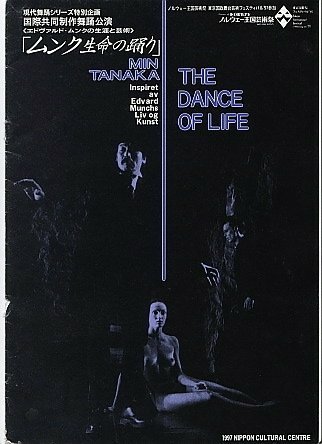 Tanaka performs across the world, and some of his major stage works include Can We Dance a Landscape?, and The Rite of Spring at the Paris Opera, the Edvard Munch inspired The Dance of Life performance for the 1994 Winter Olympic Cultural Festival in Norway, and he was awarded with the Chevalier des arts et des lettre from France. In NY he created the performance The Poe Project—Stormy Membrane which premiered at the Jacob’s Pillow Dance Festival, and his works are present through exhibitions and performances at PS 1 and P.S.122 in NY, in Prague, and further. A large scale exhibition with the performance The Dance of Life´s many theater photos, was furtherly exposed at Setagaya Theater in Tokyo autumn 1997, in the foyer gallery, supported by Royal Norwegian Ministry of Forreign Affairs, with the organization and help from Monica Emilie Herstad, who facilitated for the exhibition´s further international opportunities, the transfer of the exhibition from Oslo to Tokyo, with leaflet publication. 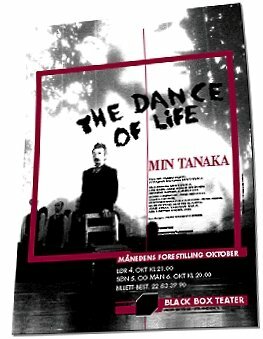 The photos from Min Tanaka´s performance The Dance of Life, was as well exhibited at Stenersen Museum in Oslo, to great success in March 1996, with a beautiful catalogue including Min Tanaka´s special quotes for each photo as exhibited. Child performer: Kristina Kenya Foss Parsons. Tokyo Times Review1997: On Min Tanaka with The Dance of Life: «A New Star in The Zodiac», reference Gilles Kennedy, Aftenposten 1994, 1997, ULTIMA Festival 1997, Winter Olympic Games 1994 archives. frontpage of program like envisioned at this picture following this article, and poster in orange colours, produced by the Tokyo-office of Min Tanaka. Poster Oslo and Lillehammer Olympic Winter Games 1994, in white, see archives. Several Japanese media features available also in Japanes libraries. Several Norwegian media features such as in Aftenposten, Dagbladet, etc. available. Poster, flyer and design: Monica Emilie Herstad in collaboration with designer. Monica Emilie Herstad is also casting responsible for guest performing child Niklas Alexander Schjetlein, and she is here in charge of administration of the sound and light technicians, as well as hosting the artist, and organizing the infrastructure of his stay. Facilitator for Min Tanakas works in Norway, in several of these productions since 1994, is dancer Monica Emilie Herstad. She is in her early career invited to Min Tanaka, dancing in his major international performance works, qualifying through dancers audition in 1993. Dancing in performances such as: The Dance of Life (1994 – 1997), The Ancient Women – a re-interpretation of The Swanlake (1994), I saw a Whale in a Glassland (1995), at Tokyo Metropolitan Art Space, and further. Close to 10 times she frequents his works in Japan, and internationally, and from time to time, including summer and autumn 1994, and 1995 until 1996, she stays as a semi-permanent art resident at his art development site in Japan, for several months, alltogether over one year in length, given cultural visa. For dancing in his performances, workshops, training, basicly. May 1996 she co-produced his solo-performance I … Sit, in Oslo. In 1997 she contributes to The Dance of Life in Oslo and Tokyo, as a dancer, and as the choreography assistant and casting adviser for new performers exchanges. She is also the main choreography assistant and facilitating for the realization of the Tokyo touring of the performance, and the photo exhibit following. In 1998 she is invited to contribute to the performance Romance in NY at PS 122 in 1999, but that collaboration was postponed. She appears for a moment in his solo performance on the roof of PS1 in 1999. In 1999 her solo performance is invited to Min Tanaka´s performance art festival, as programmed and announced, at Dance Hakushu taking place at the forest stage in Yokote, Yamanashi. This documented in newspapers and through extended photo collections, and video, program. She experiences all in all 6 different versions of his international workshops related to performances, hence 3 times 1 month lasting Body Weather summer-workshops, and one at S.M.A.K in Ghent in 2000 in addition to performance related workshops. She contributes in total to 8 of his artistic productions internationally, with dance, rehearsal interpretation and choreography assistance (training and re-interpreting the repertoir for the whole cast counting 14 persons before the Tokyo tour in 1997/ casting (suggesting the 3 extras in 1997 for The Dance of Life production, and the boy for the 1996 production I …sit) in addition to producing/ light/ sound/ costume preparations/ rehersal leading/ facilitating administratively with PR and logistics. Offering free apartment for Tanaka, meals and driving/ infra-structure during his stay in Oslo, following the norm in international art spheres. Monica Emilie Herstad is since her rich and complex experience of the dance work with Min Tanaka, in addition to perform within other more European/ Western styled contemporary performance and dance, combining the inspiration she draw from his success, with a deep study of the Norwegian author Henrik Ibsen characters. Now being awarded for her performance works in an international context, such as in Asia, Europe, America, and so on. 1994 – 1997: BBT Theater Chief, Inger Buresund and extended team. 2017: PR, Monica Emilie Herstad publishing 1 page feature in The Modern Times, https://www.nytid.no/vaeret-a-vaere/ on the Min Tanaka ULTIMA performance at the New National Museum.